Following the announcement last October that the Duchy was bringing the management of all its rural estates in-house, two new recruits have joined the team. Dan Hawkes is an experienced architectural technologist and project manager who joined Savills as a graduate in 2012. For the past 7 years he has worked on a wide range of projects for national clients, including several for the Duchy of Lancaster. 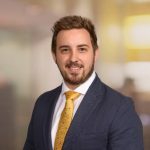 A member of the Chartered Institute of Architectural Technologists since 2014, Dan became the firm’s youngest ever Associate Director when promoted to the post in 2018. In his new role, Dan will oversee all planned maintenance, repair and construction work across the Cheshire, Staffordshire and Southern Surveys. Working closely with Rural Surveyor Rosie James who joined the Duchy just last month, he will help us to continue to improve the quality and condition of the Duchy’s farms and historic properties across the southern estates. Rosie James graduated from Newcastle University with a degree in history before going on to take a Master’s degree in Rural Land and Business Management at Reading. 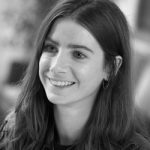 Between her undergraduate and post-graduate courses Rosie travelled extensively across South America and after graduation her first job was with Bidwells in Cambridge. She qualified as a Rural Surveyor while at Bidwells at the end of last year. The Duchy of Lancaster is an ancient inheritance of land and property assets held in trust for the Sovereign. Founded in the 13th century, it includes approximately 18,484 hectares of rural land across England and Wales.